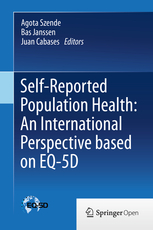 This book captures up-to-date and expanded information of EQ-5D self-reported health and index values. EQ-5D population norms and cross-country analyses are provided from representative national surveys of 20 countries and additional regional surveys. 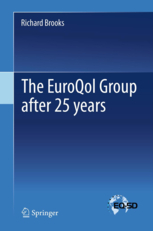 This book describes the history of the institutional and administrative framework within which the EuroQol Group operated. It also presents how the EQ-5D’s descriptive system was determined, how translation and language issues were handled, and how valuations were provided. 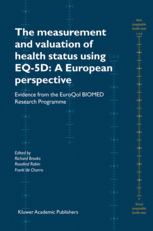 This book deals with the value sets for EQ-5D that have been produced as part of the EuroQol Group enterprise. 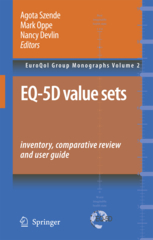 The book contains a comprehensive inventory of all available EQ-5D value sets plus guidance for users. This book deals with the measurement of self-reported health with EQ-5D. The book contains population reference values for a number of countries plus guidance for users. 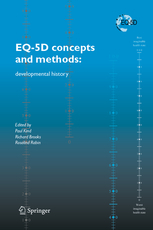 This book presents a series of papers from the early 1990s that illustrate many key aspects of the development of EQ-5D including: the descriptive system, self-rated health, valuation issues, health status scaling, modeling and valuation, semantic issues, reliability, and comparison with other instruments. This book reports on the results of the European Union funded EQ-net project which furthered the development of EQ-5D in the key areas of valuation, application and translation. Primary effort concentrated on harmonizing and integrating the results of the various EuroQol Group valuation projects. Most importantly the book includes a set of VAS-based preference weights for all the EQ-5D health states based on cross-European EQ-5D data.